Toru Mateariki for Nikao Sokattak was on hand to ensure his side beat Matavera 1-0 at the Matavera Sports field on Saturday as Nikao look to cement their spot at second on the points table. Nikao Sokattak looked very organized in the first half, showing great confidence on the ball and imposing on the home team. Nathan Tisam was really effective combining with Mark Leito, creating multiple opportunities for Julius David but Avi Enoka, the Matavera keeper, was unstoppable between the posts. The visitors should’ve been two goals up with David missing both chances. An end-to-end first half ended 0-0. In the second half of the match Matavera pressed more, trying tirelessly to score, but unfortunately were unable to find the back of the net. Daryl Areai and Paul Luiz each put shots on goal in the 50th and 64th minutes, but the chances were within the keeper’s reach. As time wound down, the attack ramped up, and soon both teams began to look for any chance at slipping a goal past their opponents. The high pressing from Matavera gave Nikao Sokattak an opportunity when Leito put Mateariki through for the only goal of the match. Matavera were kept under pressure throughout the game as Nikao Sokattak held on for the win. 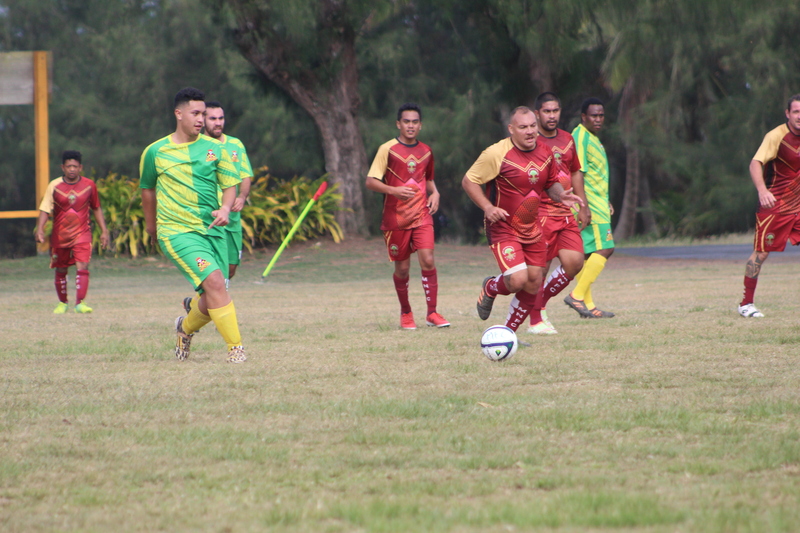 Tupapa Maraerenga proved too strong for Avatiu coming out with a 2-1 victory on Friday afternoon. In the U-17 Men’s division Tupapa Maraerenga are the confirmed winners of this year’s DJ Gas U-17 men’s round cup competition sitting comfortably at the top of the points table and got their hands on the trophy on Wednesday afternoon.